Veterinary medical acupuncture is science-based and is the application of sterile needles to specific points on the body near nerves and vessels leading to improved comfort and function of specific muscles, organs, and nerves by enhancing blood flow. This complementary modality is a safe, non-invasive, and successful way to treat pain as well as many other illnesses and conditions such as those listed below. Orthopedic injury including arthritis in joints, hip dysplasia, elbow dysplasia, knee injury, shoulder pain, tendonitis, and much more. Neurologic disease including neck and/or back pain, unsteady walking, and limb weakness. Soft tissue injury including muscular spasm, knots, or pain. Post-operative recovery for pain management (decrease oral medications needed). Gastrointestinal disease causing nausea, decreased appetite, diarrhea, and constipation. Eye illnesses including glaucoma, dry eye, and others. Although there are hundreds of acupuncture points on your pet’s body, there are a few which are more commonly used. The sides of and webbed spaces between your pet’s digits can help them to recover sensation, as well as regain their motor function. These are called the Eight Evils, for the eight points in the forelegs, and the Eight Winds, for the eight points in the hind limbs. The point located on the outside of each hind leg is very effective at improving pet wellness by treating many medical issues. Called Leg Three Mile, the point can assist with hind limb weakness, immune dysfunction, relief of knee pain and colic, along with several other disorders. This particular point is where the nerve supply to the gastrointestinal tract, low back, hind limb, and stifle joint is located. 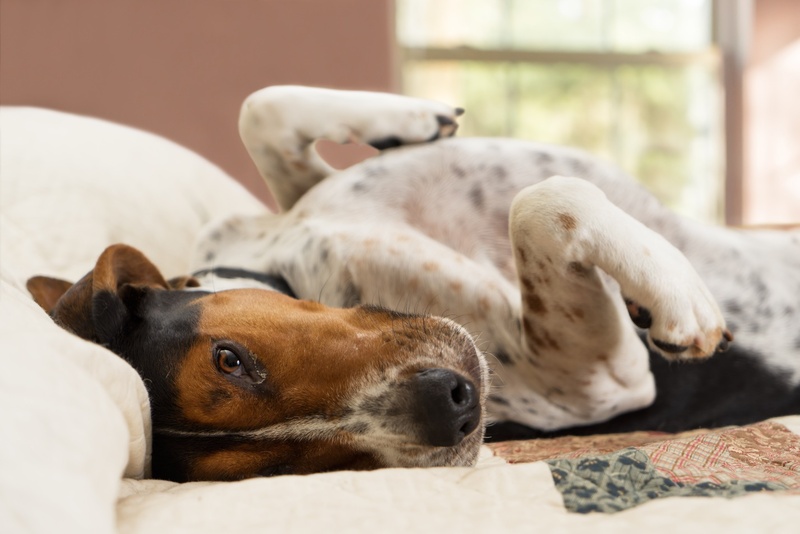 If a pet is high-strung or feeling stressed, the Hundred Convergences point can help to bring immediate calm. This point, located just behind the highest point on the head can, in addition to promoting relaxation, also improve the oxygenation of the brain and blood flow in your pet. Acupuncture allows for the natural medicine that exists within your pet’s body to be used, which may reduce the need for pharmaceutical medications. This kind of therapy can also be useful in situations where a pet needs to be weaned off of medication, or where rehabilitation needs to continue at home. Where it involves the insertion of needles into your pet, only a certified TCVM practitioner should do this. If you feel that this type of therapy is what your pet needs, it’s important to speak with your veterinarian about available options in the Fort Collins area. Acupuncture is well tolerated by nearly all patients, and once they realize that they are more relaxed and comfortable afterwards, patients begin to get excited to come in for more treatments!